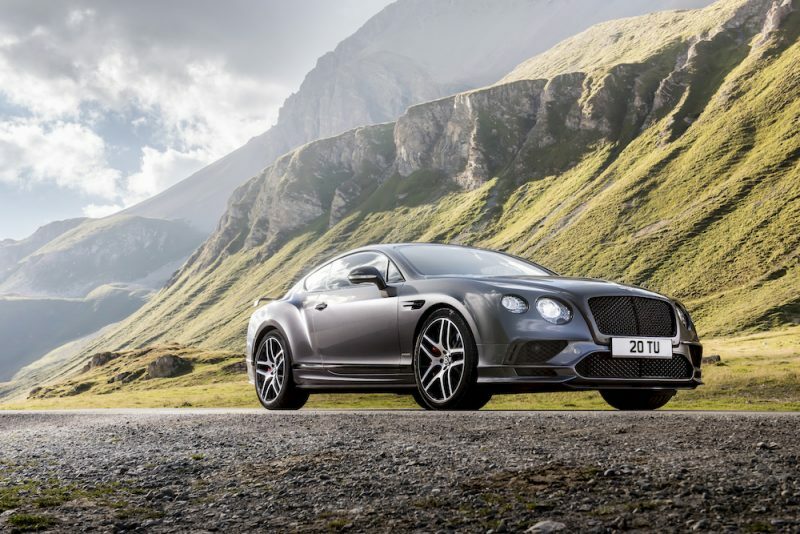 Striking, isn’t it? 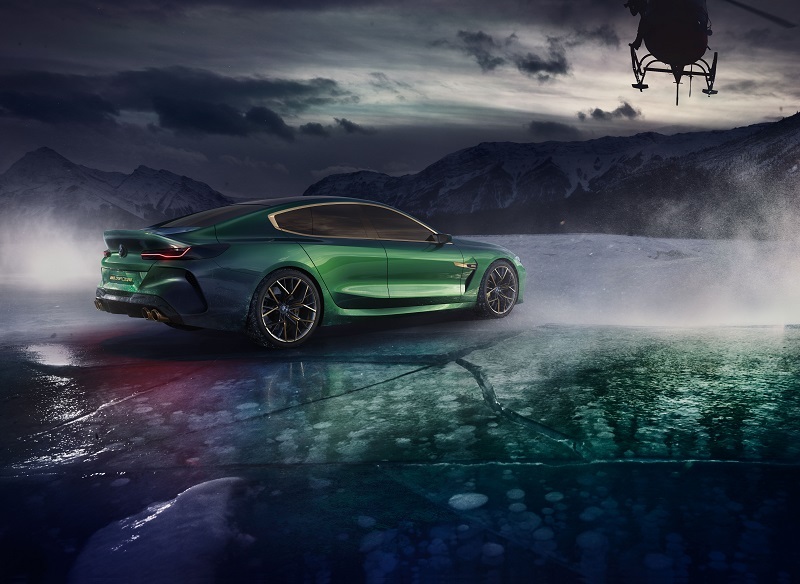 What you are feasting your eyes on, is the new BMW M8 Gran Coupe, which has been unveiled at this year’s Geneva Motor Show. Not only does it look menacing, BMW states that this new addition to the M Performance range is a “new interpretation of luxury”. Let’s be honest though, what we’re really concerned about is how many horses it’s packing and how fast it will go. 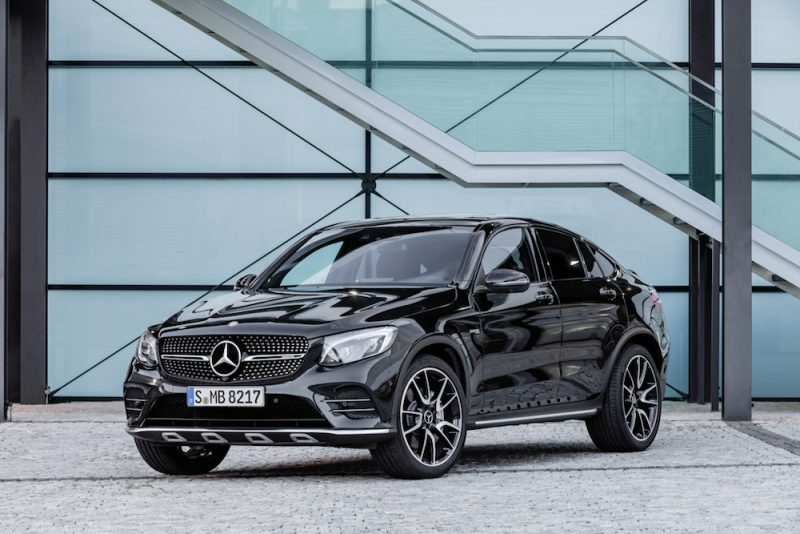 As this is a concept car, the German brand has been very coy about any sort of details to do with engines or power. 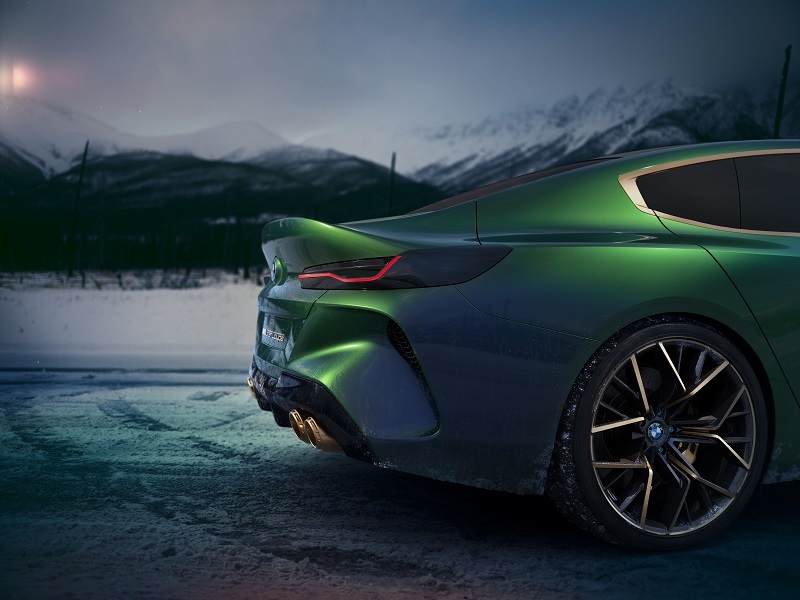 Most of the press blurb is to do with how the car looks, which I suppose is not a bad thing, as I feel it looks fantastic, especially in that pearlescent green-y blue finish (Salève Vert)used for the press release. 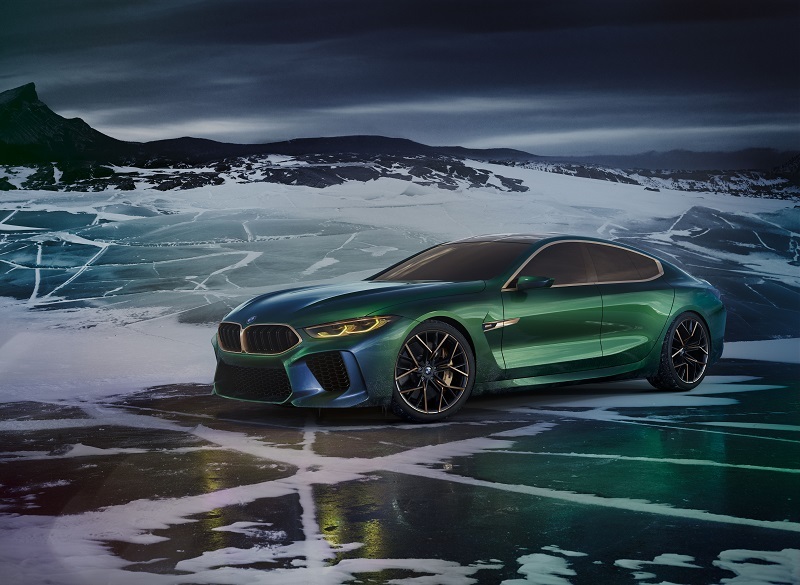 BMW has stated that the concept M8 Gran Coupe has been designed in such a manner to “stir things up” and to “stand out from the crowd”. 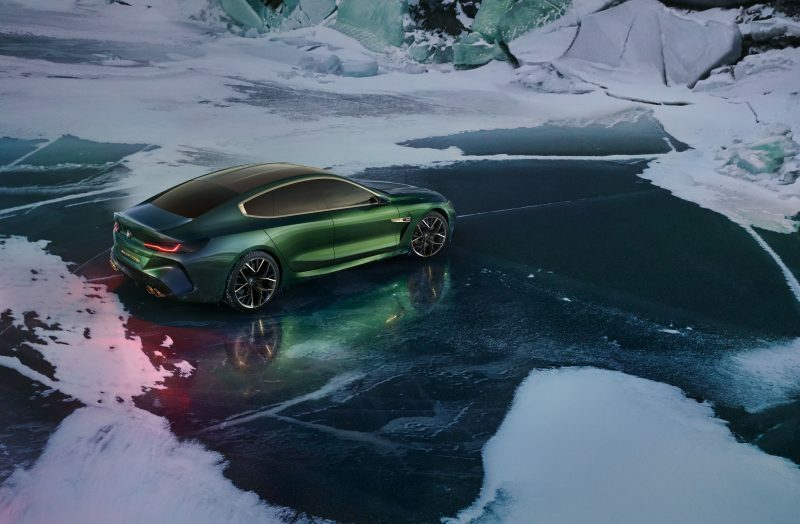 Well BMW, I think you can declare that mission accomplished. 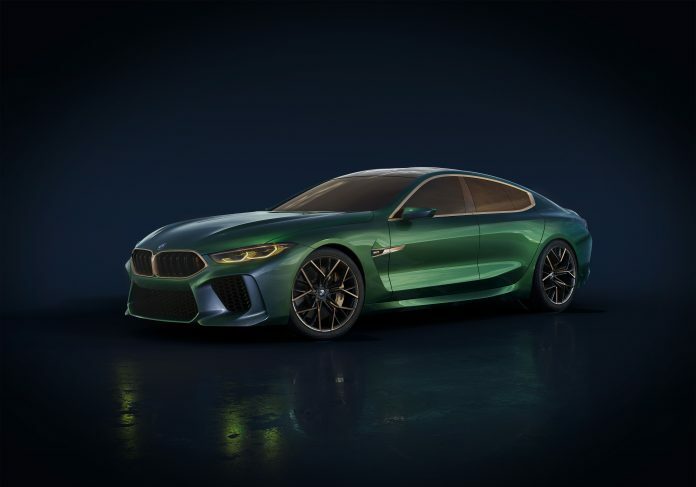 The front features a powerful nose, and within it there are headlights which feature lighting similar to the GTE racer, as well as large air intakes made from carbon fibre reinforced plastic. 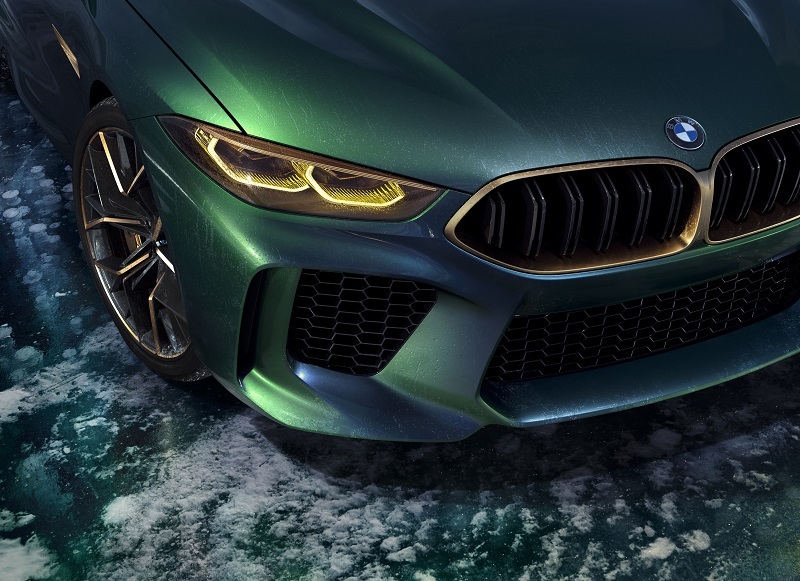 Those eagle-eye among you will note the gold kidney grilles; these have been selected in such a colour so that the M8 can boast its exclusivity. 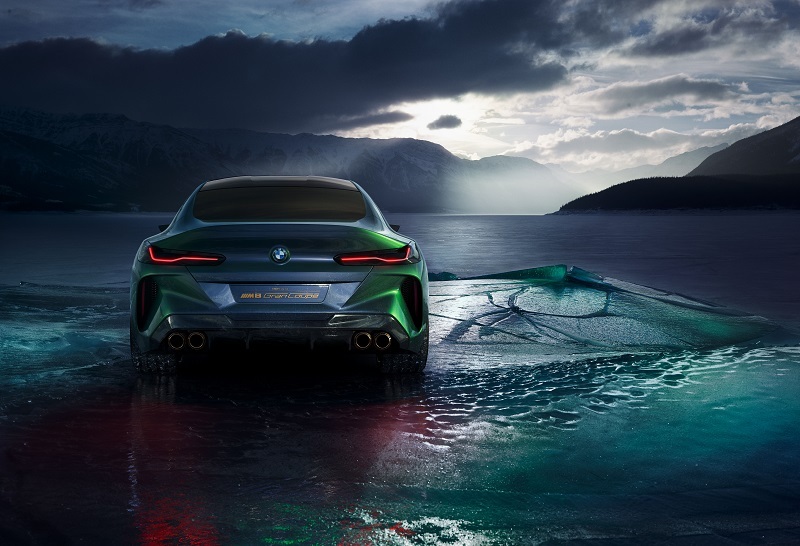 BMW boasts that even when viewed from a distance, the M8 is radiate the car’s dynamic character.